Hon. 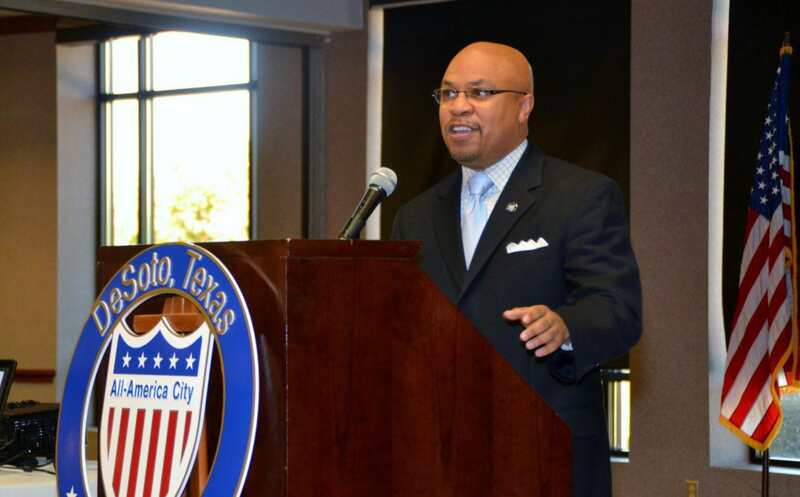 Carl O. Sherman Sr. addresses DeSoto residents and business owners during his last State of the City address in January 2016. 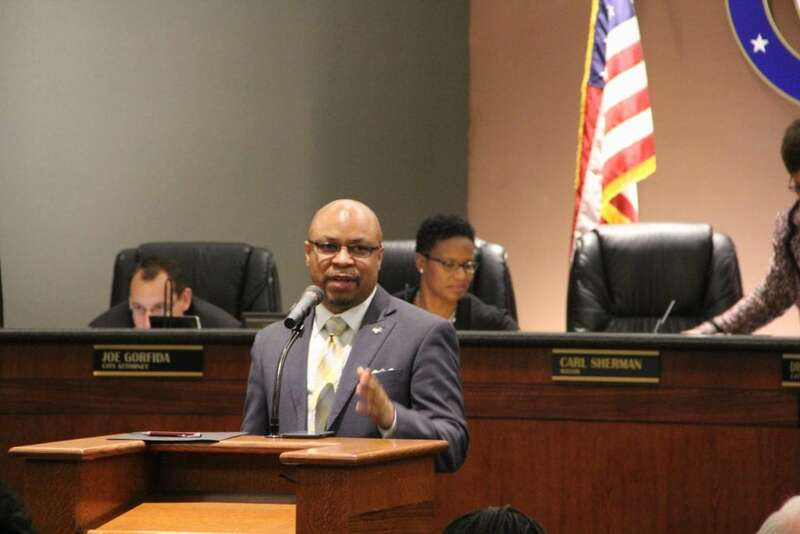 HUTCHINS—Tuesday members of the Hutchins City Council unanimously approved the hiring of Carl Sherman Sr. as its new Chief Administrative Officer. “Last year, while serving as Mayor of DeSoto, Sherman accepted the additional role as City Manager of Ferris. As City Manager, Sherman’s operational initiatives across the city have benefited the citizens greatly. I know this first hand from my wife’s family that are long time residence of Ferris, who love the changes he has made to improve city services. Some of his operational changes have involved collaborations with corporate partners, which have saved the citizens thousands. Additionally, he has structured inter-local agreements with the local school system. Most notably, a fuel agreement with the city’s ISD that is projected to save the city thousands of dollars,” expressed Mayor Vasquez. Sherman makes his final remarks as Mayor during the Swearing in Ceremony of DeSoto’s 21st Mayor Curtisene McCowan. Current Hutchins City Manager and Economic Development Executive Director, Guy Brown commented, “Sherman is the right choice to lead the city at this important time of industrial transformation and build on this momentum by attracting quality retail and residential developers to the city,” said Brown, who announced earlier this year that he would be resigning from his administrative role to focus solely on economic development once a successor was named. Sherman stated that his official first day on the job will be September 6th, as he works hard to close a few items in Ferris.